I can barely draw stick figures. I always lose in Pictionary. My parents never saved my art projects. Luckily, there are incredible artists out there, and one of them plucked the image of Ruby out of my brain and artfully placed her on the cover of RUBY REINVENTED. This brilliant artist’s name is Lucy Truman, and I’m so grateful that she captured RUBY REINVENTED so perfectly! Are you ready to see the cover for RUBY REINVENTED? Because I can’t wait to show you! 1) Ruby looks like Ruby! Just how I pictured her in my mind. 2) Midcoast Maine looks like Midcoast Maine! Cute little storefronts, old fashioned lamp posts, and a harbor in the background. Perfect. 3) The stars. There are quite a few stars in RUBY REINVENTED… both the celebrity kind and the kind in the sky. The stars on RUBY’s cover are there for good reason. And you’ll find out why when you read the book! I hope you love this as much as I do. Please read on to learn more about Ruby, and enter to win our most scrumptious giveaway! When 12-year-old Ruby Miller learns that her BFF’s are only friends with her because of her famous parents, she finds a place far from celebrity-crazy Hollywood--a Maine boarding school. In her panic to distance herself from her star-studded folks, Ruby tells her new friends that she’s an orphan. She feels awful lying to her weird but wonderful roommate Summer (the first real friend Ruby has ever had), but not awful enough. In fact, now that nobody’s comparing her to her remarkable parents, Ruby can finally let her unique talents as a dress designer take center stage. But when Ruby finds herself connecting with a boy who really did lose his parents, she’s torn between who she is and who she’s pretending to be. And with Parent’s Weekend approaching, she must find a way to keep her secret... without losing her new best friend, the trust of her first crush, and the chance to shine as the designer of her own fashion show. 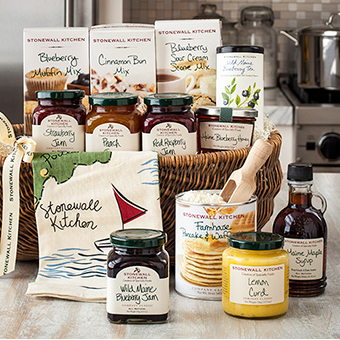 Note: CA residents will receive a similar basket, but not this exact one. a Rafflecopter giveaway Giveaway ends November 25th at 11:59 PM EST. Open to Residents of the US only. Prizes cannot be shipped to PO Boxes. Winner will be selected by Random.org and be notified by email. Winner have 48 hours to respond before a new winner is selected. Please note that Kidliterati is not responsible for sponsors that do not fulfill their prizes. I have represented each sponsor with the expectation they will fulfill their prize and in a timely manner. I will contact the sponsor regarding your prize(s). The sponsors, in most cases, are shipping their items to you directly. I will make every effort to assist you obtaining your prize. The product provided for the review was free of charge from the company. The product offered for the giveaway is free of charge, no purchase necessary. My opinions are my own and were not influenced by any form of compensation. Facebook, Twitter and Google+ are in no way associated with this giveaway. By providing your information in this form, you are providing your information to me and me alone. I do not share or sell information and will use any information only for the purpose of contacting the winner. Thanks for sharing in Ruby's cover reveal! 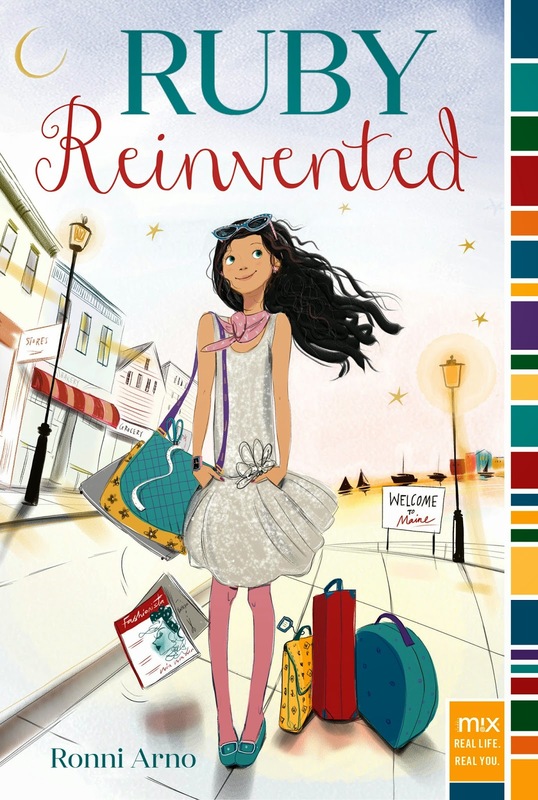 Please add RUBY REINVENTED to your Goodreads list, and visit my website for more fun stuff on RUBY REINVENTED, writing kid lit, and how to schedule a school visit. Stay in touch, because there will be more giveaways as we get closer to Ruby’s release date! Ahhh, Ronni, it's beautiful!!! LOVE!!!! There are so many great details packed into this cover! I can imagine poring over this as a girl--well done! Thanks, Mel! The artist did a fantastic job. Thank you, Tricia! Yours is pretty awesome as well! Love it, Ronni!! Can't wait to read it!